To inquire about reproduction of works please contact the Estate. Remy Charlip was born in January 1929 and raised by his Lithuanian Jewish parents in the Brownsville section of Brooklyn, New York. He showed a natural talent for the visual arts and became known as the “official” school artist, decorating the classrooms for his favorite holidays, Valentine’s Day and Thanksgiving. Although he had aspirations to become both a farmer and a clown, his mother recognized his artistic talent and thought it was more practical for him to attend Strabenmuller Textile High School where learned to design fabrics. This led him to being accepted into The Cooper Union School of Fine Arts where he received his BFA in 1949. After graduating and feeling he had nothing to say as a painter, he decided to become a dancer because he saw them as free spirits. He accepted a fellowship at Reed College to work with choreographer Bonnie Bird designing sets and costumes for The Marriage at the Eiffel Tower by Jean Cocteau. It was during that summer at Reed College he met and fell in love with composer Lou Harrison who composed music for the summer productions that were Remy’s first dance performances. After traveling across the country with Harrison, they settled back in New York where Remy began taking classes from The New Dance Group. This led to him dancing in Donald McKayle’s first piece, Games, at the Ziegfield Theater, for which he also designed costumes. Remy met John Cage and Merce Cunningham through Harrison and, due to his masterful calligraphy skills, was asked to design a flyer for an upcoming program. Cunningham then invited him to take dance classes with him and it wasn’t long before Remy began dancing with the Merce Cunningham Dance Company. He became a founding member of the company and did publicity and designed flyers as well as danced with them. For the first eight years with the company he also designed costumes and collaborated with Robert Rauschenberg on the productions of Springweather and People and Minutiae. 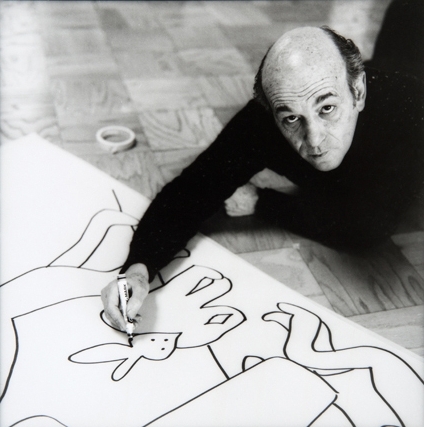 As a member of the company he was also an artist-in-residence at Black Mountain College in Asheville, North Carolina, where he met many influential artists and thinkers of the time. He joined the extended family and befriended some of the most brilliant culture makers of the 20th Century including artists Josef and Annie Albers, Franz Klein, Cy Twombly, Willem and Elaine DeKooning, Jacob Lawrence, Arthur Penn, Ben Shahn, Ruth Asawa, Norman Soloman, Ray Johnson and Nicolas Cernovich; poets Charles Olsen, Robert Creely and M.C. Richards; musicians John Cage, Morton Feldman, David Tudor, and Earl Brown; architect Buckminster Fuller and children’s book author Vera Williams. During this period Remy was also designing book jackets to earn his living and was fortunate to illustrate the work of two brilliant picture book pioneers: Margaret Wise Brown (The Dead Bird) and Ruth Krauss (A Moon or a Button). In 1956 he landed a contract with Young Scott Books for his first book, Dress Up and Let’s Have a Party. In 1957 his second picture book, Where is Everybody? was chosen by the New York Public Library as a "Distinguished Reader," alongside The Cat in the Hat by Dr. Seuss and Little Bear by Elise Holmelund Minarik, illustrated by Maurice Sendak. In 1969 he was one of the Ten Best Picture Book’s of the Year by the New York Times for Arm in Arm. Later, Thirteen (1975) and Handtalk Birthday (1987) made that list as well. Thirteen was chosen best book by The Horn Book/Boston Globe. Handtalk was given a Christopher Award and Harlequin (1973) received the Bank Street School of Education Award. Working as a dancer, director, choreographer, illustrator, author, costume and set designer provided opportunities to work with many notable artists and venues in New York’s avant-garde. Judith Malina and Julian Beck asked Remy to join their new company the Living Theater. He performed in plays, designed programs, choreographed and danced in their production of Gertrude Stein’s Doctor Faustus Lights the Lights. He also danced with Jean Erdman, Katherine Litz and Sabina Nordoffand performed at Café La Mama, the Joyce Theater, Dance Theater Workshop and Brooklyn Academy of Music. He created sets and costumes for Kenneth Koch at the Cherry Lane Theater and for Paul Goodman he also designed the sets and costumes and created choreography. He appeared at Greenwich Village’s Village Gate with Andy Warhol and Edward Albee. In 1958 Remy joined the Paper Bag Players, the longest running children’s theater in North America, for which he received his first Village Voice Obie Award. He won a second Obie for Distinguished Direction for a play from poems by Ruth Kraus, A Beautiful Day (1965) with music by Rev. Al Carmines of the Judson Poets Theater with whom he directed many musicals. Remy was an exceptional teacher and helped people of all ages and creative disciplines access their creativity with a whimsical and profound simplicity and holistic depth. His teaching brought together many creative practices and healing modalities such as the Alexander Technique, Jin Shin Jyutsu, and his vast knowledge of anatomy and kinesiology. He became the head of the Children’s Literature Department at Sarah Lawrence College for five years, teaching a course called Workshop in Making Things Up, with an outreach program to schools, hospitals, senior citizens and prisons. He was a Hadley Fellow at Bennington College and a John Adams Distinguished Professor at Hofstra University. He went on to become a Visiting Artist Resident at Harvard University, a Joseph E. Levine Fellow at Yale University and a Regents Lecturer at The University of California, Santa Barbara. He was a guest artist and master teacher at countless institutions, including many alternative festivals and educational institutions, such as Naropa University, Colorado Dance Festival, Omega Institute and Esalen. As a contributor for more than twenty years to Contact Quarterly, the international journal of dance, improvisation, performance and contemporary movement arts, Remy wrote and illustrated many articles about his creative philosophy, teaching, performing and healing practices. CQ published five of these articles in the First Remy Charlip Reader (1986). 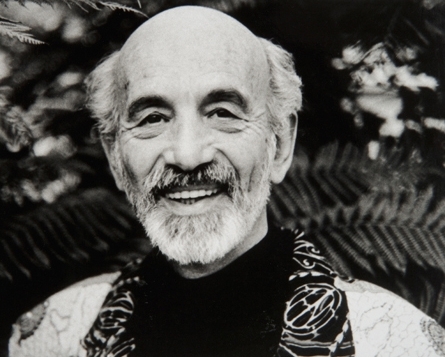 Remy was a mentor to the artists-in-the-schools program from the San Francisco Arts Education program for which he wrote a manual for teaching an interdisciplinary approach to teaching the arts to children. He wrote a play for their 650 children performed at Stern Grove, San Francisco (1996). As director of two plays for the National Theater of the Deaf, Biography (1970) and Secrets (1971) he was inspired to do a solo about his own childhood, Glow Worm, filmed by WGBH-TV Boston, along with four other of his dances for a program called Remy Charlip Dances which aired in 1977. That same year he toured a solo program and later, with his group the International All Star Dance Company, began performing and teaching composition all over the world. He choreographed for the London Contemporary Dance Company, Amsterdam Theaterschool, Scottish Theater Ballet, Caracas Taller Dance Theater, Rotterdam Dans, New South Wales Dance Company and Welsh Dance Theater, as well as staging the opening for Robert Rauschenberg’s Experiments in Art and Technology’s (E.A.T.) for the Pepsi Cola Pavilion at the Osaka World’s Fair (1969). Remy Charlip received four Isadora Duncan Awards for his solo concert Remy Charlip Dances; for producing a benefit for STEPS: Empowerment for People Living with HIV; for set design for his piece Ludwig and Lou with the Oakland Ballet; and for writing the text for his Internal Dance #1. He invented a new form of choreography called Air Mail Dances, in which dancers interpret 20-40 illustrated figures he would draw on paper and mail to them. He made pieces for Toby Armour, Frank Baker, Tandy Beal, Julian Beck, Sudie Bond, Carolyn Brown, Anne Bluetenthal, Cho Kyoo Hyun, Ronald Dabney, Dancers for Disarmament, June Ekman, Viola Farber, Maria Irene Fornes, Margaret Jenkins, Shirley Kaplan, Eva Karczag, Nancy Lewis, Judith Malina, Neil Marcus, Judith Martin, Men Together, Aileen Passloff, Rudy Perez, Eduardo Ramones, Barbara Roan, Rachel Rosenthal, Patrick Scully, Valda Setterfield, David Vaughn, Dan Wagoner, James Waring, June Watanabe, Brenda Way, and Lance Westergard. He also choreographed commissioned works for the Joffrey Ballet, Next Wave at the Brooklyn Academy of Music Opera House, Metro Theater Circus, St. Louis, Rep West, Santa Barbara, Stanford University and Mills College. A Perfect Day: Montalvo Arts Center celebrated Remy Charlip with Joanna Haigood and Zaccho Dance Theatre and AXIS Dance Company. Charlip also created “Ten Imaginary Dances” for MoCA-LA’s radio series The Territory of Art. For the dancer Lucas Hoving of José Limon Dance Company, he created Growing Up in Public. His production Ludwig and Lou created for The Oakland Ballet, was an homage to his friendship with Lou Harrison. Remy had many exhibitions of his paintings and drawings from his picture books. These illustrations, including drawings of his Air Mail Dances, were displayed at four museums in Japan, as well as a 100-foot mural he painted at the Remy Charlip Library in Greenville, Delaware. These exhibits include paintings from his book Harlequin at the Library and Museum of the Performing Arts, Lincoln Center in New York City; a selection from seven of his books at The San Francisco Public Library in an exhibit called Remy Charlip’s World: Books Into Theater/ Theater Into Books; an exhibition of drawings of his theater piece, Amaterasu, commissioned by the Museum of Contemporary Art in Los Angeles as their first artist-in-residence; Harlequin: A Movie Proposal at the Junior Art Gallery, Barnsdall Art Park; an interactive exhibit, The Book Is Dead, Long Live The Book, in the Caen Bibliothique in France; an exhibit of Air Mail Dances at Dance Theater Workshop; and perhaps one of the greatest honors as a picture book author and illustrator, A Celebration of Remy Charlip, an exhibition of Arm In Arm paintings at the Library of Congress, Washington, DC, where he was honored for his distinguished career in the field of Children’s Literature. He was given the first three-year grant in choreography by the NEA and five other one-year grants. He received two Irvine Fellowships in Dance, two traveling grants to go to Japan from the Japan-U.S. Arts Commission and the Asian Cultural Council/Rockefeller Brothers Fund. He received The Cooper Union Professional Achievement Award in New York City and received a laurel tree from Lou Harrison when the San Francisco Main Library made him a Literary Laureate. In 2001 the San Francisco Bay Guardian gave him their Lifetime Achievement Award, and in 2005 he received a Guggenheim Fellowship. After living in San Francisco for more than 20 years, Remy had a stroke in 2005 from which he partially recovered, continuing to draw, paint, design and publish despite the physical challenges he experienced. Remy passed peacefully at the San Francisco Zen Hospice in 2012 surrounded by friends and family.